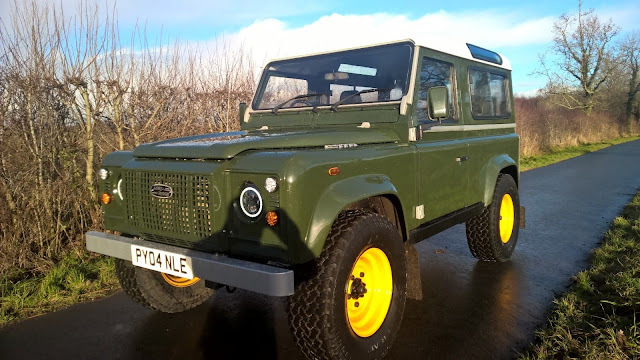 Simon Huntington ltd is an independent Land Rover/ Range Rover Specialist in Wigton, Cumbria offering sales, repairs and services on all Land Rover and Range Rover models. Fully refurbished in our workshops,we don't cut corners. This stunning deep bronze green defender has had our theatment from top to bottom ,the immaculate chassis has been wax oiled and undersealed all the body cappings ,windscreen frame and hinges have been powder coated silver to resemble a series land rover,the axles brakes and suspension all overhauled ,new roof lining and led lights all round.A full bodystrip down and respray to the series deep bronze green .And those wide steel wheels ,if there not to your taste we can swop for alloys.Half leather front seats ,fully carpeted and deluxe cubby box. The engine has been serviced and we have added a engine ecu remap to give this td5 more power and better mpg ,its runs like clockwork. There are many more small parts that have fitted to return this low mileage td5 back to its former glory it is a must to view if you are interested. 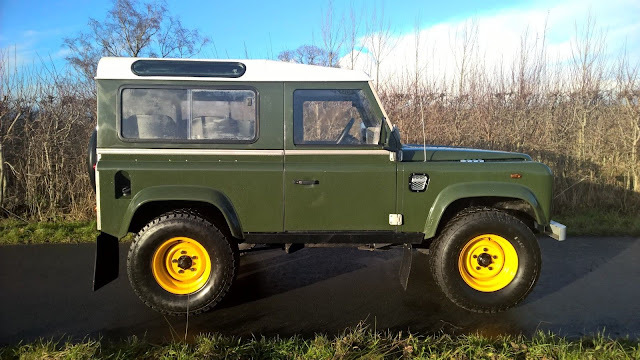 we have cared for this land rover for many years and have completed the last 2 services. 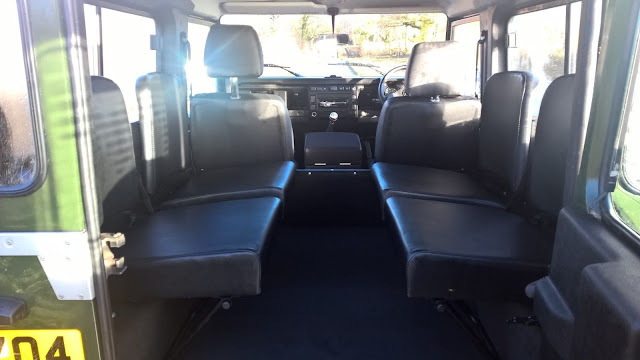 I give 1 years warranty on my refurbed TD5 land rovers because I know the work that goes in to them . 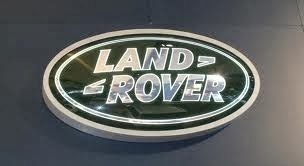 We take land rovers in as a part exchange.